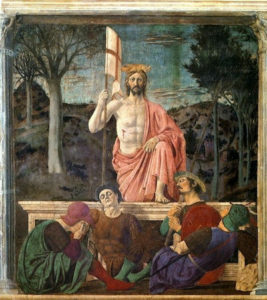 Piero della Francesca, The Resurrection, c. 1463-5, fresco, 225 x 200 cm (Museo Civico, Sansepolcro, Italy). Public art has been a source of civic pride, government marketing, and economic renewal since the Roman Emperor Diocletian built the great baths of Rome filled with mosaics and sculptures to Fearless Girl, who has became a main attraction on Wall Street. From courthouses to libraries to town halls to busy harbors, public art has graced, and at times been the source of controversy, for the general public to contemplate. In this one hour lecture, Meg Black will examine some of the most famous landmarks of public art. Come hear the stories . . . conspiracies . . . and tales of woo. . . my tax dollars were spent on that! Free and open to the public (of course). A special message from a dedicated patron. Hi Meg, it’s Lisa T! 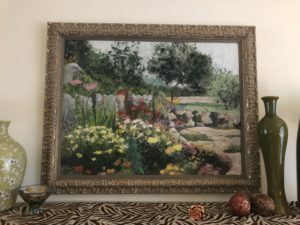 I had to show you this piece that I bought from you so many years ago 20 or 24 years ago. I’ve just had it re-framed and it is absolutely spectacular. I had to send it to you. I hope you have a great day. It’s from Business Art and Frame my friend Maryanne did the framing of it. 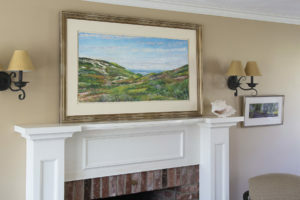 She framed a Tuscany painting that a local person had commissioned you to create for her a few years ago. It is still one of my all-time favorite pieces of artwork, Meg. You are an absolute gifted artist, it is evident to me you put so much love behind your work that it oozes out of each piece you make. 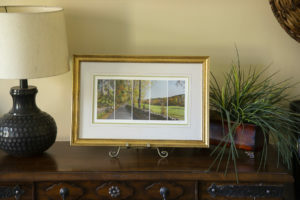 I am happy to announce that sales of the River Road prints has raised 1,000 for the Tri-town council. 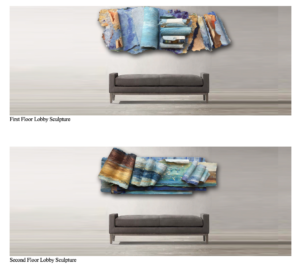 I am looking forward to sharing my experiences with securing art commissions with Judy Klich. 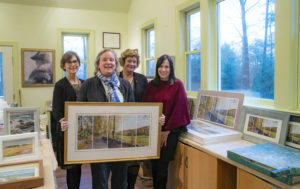 Sales of Autumn, River Road print benefit Tri-Town Council. Members of the Tri-Town Council in my studio accepting the donation check. I am proud to announce that sales of Autumn, River Road, have been so successful that I was able to give the first installment check of 1,000.00 to the Tri-Town Council. Sales of the prints benefit this worthy non-profit. Please purchase a print and help the Tri-Town. Meg Black Studios. 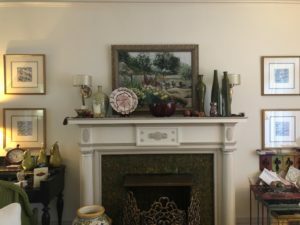 I am happy to share that I will be interviewed today by Alyson Stanfield, founder of Art Biz Success. The interview will focus on the process I undertook to secure a commission for a painting I created for the Topsfield Town Hall addition which was completed in October of 2018. Below is the video I produced that tells the story behind the commission.